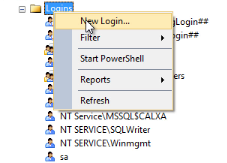 In our help note – How to Configure a Network Database (SQL Server), we recommend using Windows Authentication to autheniticate with the SQL Server as there is no need to setup additional passwords. Additionally a single domain security group can be used instead of setting up separate user logins. If however you don’t have a domain network environment you may find it easier to use SQL Authentication. MSSQL is not part of Calxa and these instructions herein are provisional and should be confirmed with the official Microsoft documentation. 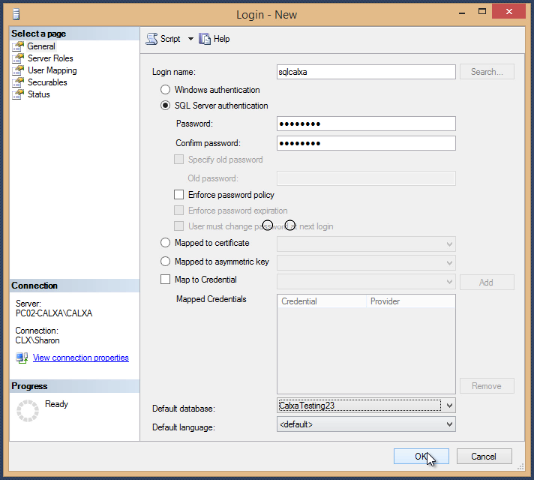 The steps outlined in this help note are for a suggested setup using SQL authentication where the SQL Login passwords will not expire and a password policy will not be enforced. 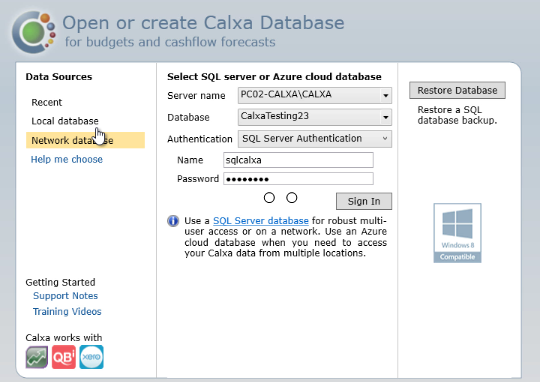 Users are granted full access to the Calxa database but only public access to the server will be granted. 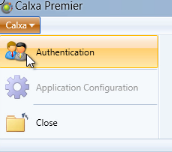 If Calxa opens an existing database automatically you will need to click the orange Calxa drop down field in the top left corner and select Authentication, otherwsie skip this step. 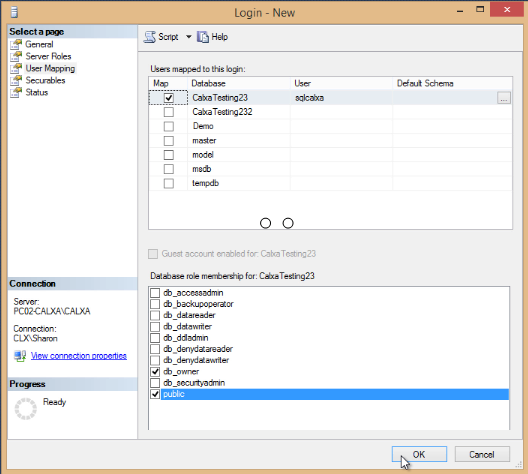 On the Open or create Calxa Database screen select Network database from the Data Sources list in the left hand column.